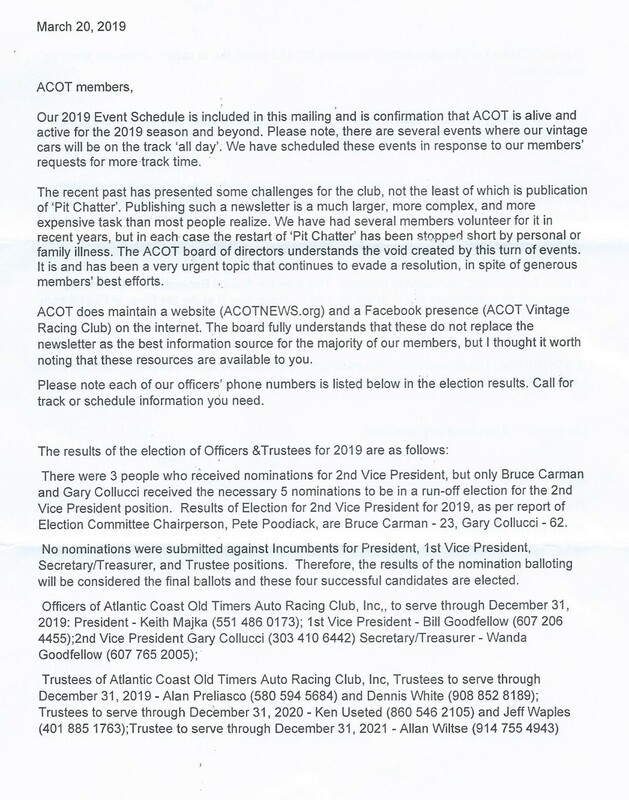 Copy of March 27th mailing to ACOT club membership below. 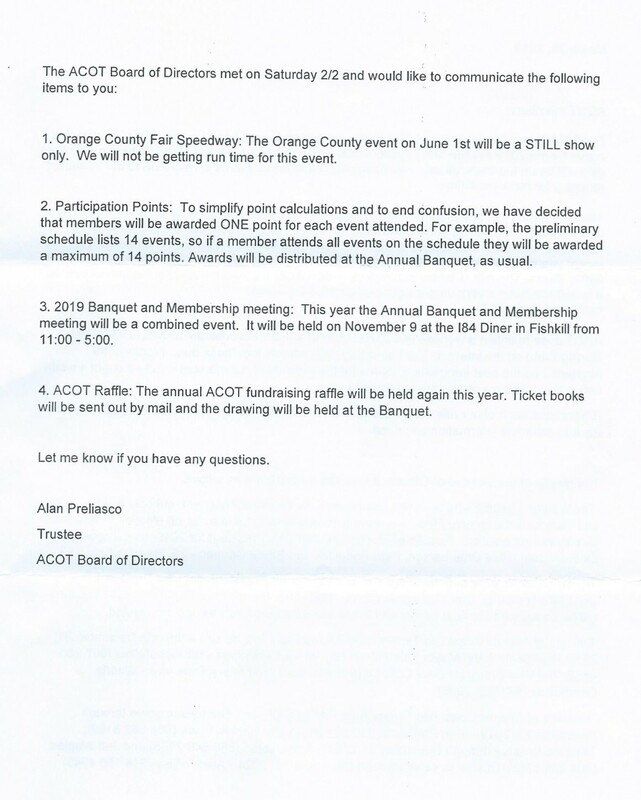 Click on '2019 Schedule' above for event information. Rhinebeck Car Show, Sat May 4. Automobilia and Literature Auction, Berlin CT. Check website 'automobiliaauctions.com' for catalog and details. Click on 'Event Photos' button below for prior years events. Send in your photos from our events. Our members and other visitors enjoy our 'Members and Cars' section. We encourage all members to submit images of their cars that have not been included. In other cases, a photo used might not be the owner's favorite. Please provide your preferred image. The image can be either a regular hard copy photo or transmitted through email.